I’m now on the other side of 40, and my nagging back injury has worn me down and made me feel old, tired, and well…a little crotchety. I’m sure this is a temporary state, but it does have its advantages. One of the benefits of being crotchety is clarity of thought – you tend to see things in more black and white terms. While I’m not quite ready to throw in the towel and tune in the O’Reilly Factor, I am ready to declare that I really don’t enjoy pumpkin beers. There – I’ve said it. I have kept an open mind about pumpkin beers and have tried a bunch of them, but mostly they are a turn-off for me. I think the reason for this is simple – it’s hard to brew a good one. Most turn out to have a gross underlying vegetable funk or a cloying spice flavor that creates an imbalanced bitterness in the brew. As this year’s crop has come to market, I’ve looked at them all and have gotten a little exhausted – This crotchety old guy just doesn’t have the energy to work at enjoying a beer. And that’s what most pumpkin beers represent to me – work. This occurred to over the weekend while I was buying a pumpkin beer. Yes, you read that right. You see, I really didn’t realize how much I don’t like pumpkin beers until I laid eyes on one I truly love – Southern Tier’s Pumking. It was a strange feeling to suddenly be excited about a pumpkin beer, and it made it clear to me how uninterested I am in the other ones. I grabbed up two of them and cracked one open on Saturday night. I made sure it was only slightly chilled, as this beer has a strong vanilla backbone that really blossoms as the beer warms. This thick thread of vanilla holds together the well-balanced clove and pumpkin flavors in the beer, while the 8.6% ABV curls your toes on a chilly autumn eve. It’s a pumpkin-pie-in-a-glass type of beer and I love it. I’ll admit that there’s a very short list of fall beers that really get excited about, and this is one of them. The others are the Bruery’s Autumn Maple (although my love for this may be fading) and Avery’s incredible The Kaiser Imperial Oktoberfest Lager, which is hands-down my favorite autumn beer. I’ll also enjoy a DFH Punkin in the fall, but I’ve passed it up at the shelf three times this year, so I guess it’s on my second tier right now. My back pain is starting to ease, and I should be back to my old self before too long. Hopefully as I transform from a curmudgeon in a cardigan back into to a Mini-driving metrosexual, my mind will open back up to the flavors of the season. But sometimes it’s hard to “unknow” something, and my intolerance for screwing around with pumpkin beers might be here to stay. We’ll see. In the meantime, I’m on the prowl for The Kaiser. Because young or old, cranky or happy, that stuff is by far my favorite taste of Autumn. Tags: Avery Brewing, Beer, fall beers, pumking, Pumpkin Ale, Pumpkin Beer, Southern Tier, Weekend, you kids get off my damn lawn! Pumking is the best! Southern Tier is one of my favorite breweries. I’m so lucky to live so close. Cheers! Southern Tier is pretty awesome indeed, at least their Blackwater stuff. I don’t think I’ve even tried their 12oz offerings. Give the Williamsburg Alewerks Pumpkin Ale a try…. IMO the best Pumkin brew on the market…. New car = back problems. Hmmm. …BTW, thanks for your help with them, Don! 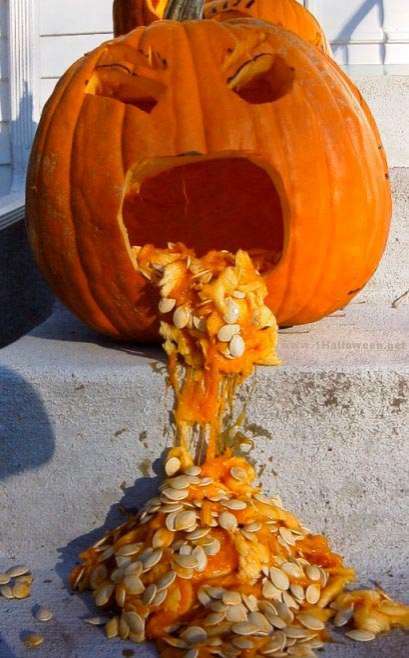 I have similar feelings about pumpkin beer. The only one that really impressed me was Avery’s Rumpkin, a 13% brew aged in rum barrels, which I had at their tap room last year. This year, they are bottling it, so more folks will get to try it. I’ve never had the Southern Tier. My favorite taste of Autumn is the slew of fresh/wet hop beers that come out this time of year. Great Divide Fresh Hop and Sierra Nevada Harvest Estate are my two faves. Rumpkin is now officially on the radar. That doesn’t make me gay, does it? As long as keep your hands of my Rumpkin, that shouldn’t be an issue. Also, it looks like they bumped up the ABV to 16% this year. Woot! Your reasoning behind not liking Pumpkin beers is exactly why I avoid fruit and flavored beers; it’s hard to get them right without going over the top, at least to my taste buds. I’ve never tasted a good pumpkin beer, and I’ve tasted quite a few. I’d rather have an Oktoberfest or Marzen if I’m drinking specifically Autumn beers. I tend to ONLY like the fruit beers that go over the top, because fruit and beer don’t really play well together – might as well make it taste like raspberry juice! Crotchety..curmudgeonly…cranky! I prefer to think of it as being less willing to tolerate fools gladly. Southern Tier really is the best one out there. The Wachusett Imperial Pumpkin Ale is also very good and remarkably similar – just with some more sweetness from the Belgian Candi Sugar. But really, the Pumking is the beer that I get most excited for every year. May it help return to you your youth. …or may it keep me warm while I sit out front yelling at kids to get off my damn lawn!!! My wife’s brother back home is supposed to stock up on some of the Wachusett for us since his buddy gives him a fair share of mislabels. He sent us a whole case of Larrys for our wedding. Do you get Elysian out there? If so, try to get your hands on some of their Great Pumpkin. It’s an imperial pumpkin ale brewed with roasted pumpkin seeds. I’ve had it once. I’d like to have it again, but they don’t sell that particular Elysian brew here (although I hear rumors it might be here this year). It’s not nearly as pumpkin pie-ish as Pumking and the roasted seeds add a completely different dimension to the style. Just saw the Kaiser on the shelf at Brewforia this weekend. Firstly, we do get Elysian so I’ll look for Great Pumpkin – it sounds interesting. Secondly, you’re KILLING ME with your kaiser talk!! I haven’t seen it here yet!! I’m generally ok with pumpkin beers, though I find that a little goes a long way. I doubt I’ll drink six bottles of it each fall, and there are very few that I’d consider to be genuinely great. I have yet to try the Pumking. I think it’s a great beer, and it comes in a bomber, so you only have to commit to one. I had Pumpking on Thursday and was ok with it. I’ll have to try again, I did purchase the Unita Oak Jacked. OK Jim, here is a real comment. How could you possibly know that you don’t like any pumpkin beers. There is no way you’ve tried them all. There are probably some that are amazing, but you haven’t had them yet. I did a review of one last year that was out of this world! Midnight Sun’s Chocolate Pumpkin Imperial Porter. Was to die for. If you never try any others you will never know what you are missing. But that is par for your course…narrow minded and crotchety. I’ve had many, most certainly enough to know that many people make them and most of them are not great. I think the key is to choose the “imperial” variety. Maybe all the booze kills the veggie flavors, or maybe it’s just that alcohol makes bad beers better. I think if you tried the Midnight Sun, you would have a new favorite! I think you’re full of pumpkins. /get off my damn lawn! Although I agree in principle with your take on most pumpkin ales, I’m amazed that you did not like the Schafly’s Pumpkin Ale and the River Horse Hipp O Lantern Imperial Pumpkin Ale. Both in my mind are contenders with the Southern Tier offering. Luckily, they were the first two pumpkin ales that I tried this year. I haven’t felt the need to pick up any other pumpkin ales to see if there was something better (unlike last year – *shudder*). I just had New Belgium’s Kick, a sour pumpkin with cranberry. It was pretty great. It will be the only pumpkin I’ll drink from now on. Even Pumpking started to wear on me. I think the key w/ pumpkin beer is to drink it judiciously–it simply isn’t something that you want on a regular basis. But its great for say a Halloween party or with/after a holiday dinner. Since I too generally dislike fruit and veggie flavored beers, I haven’t tried many pumpkin brews (although that pumpkin seed brew does sound intriguing). The one I like best so far is Schlafly’s, but even with it I have to space ’em far apart–a little bit goes a long way. I’m thinking of mixing it with a good old standby like Dale’s to see if that increases its long-term drinkabilty. Part of my problem is that I’m currently hooked on New Belgium’s Ranger. The opening aromas are unbelievable and the bitter finish is right up my alley. Until this fixation begins to ebb I’ll probably continue to have trouble enjoying other beers. I must admit though that I did fully enjoy NB’s “Clutch’ a dark sour named after the B’more-based band. But at $10 a bomber, and 9% ABV, I can’t drink it everyday like the Ranger. I’m still hoping Schlafly’s will send me some. Because I’m special and all. Mr. Crotchety. 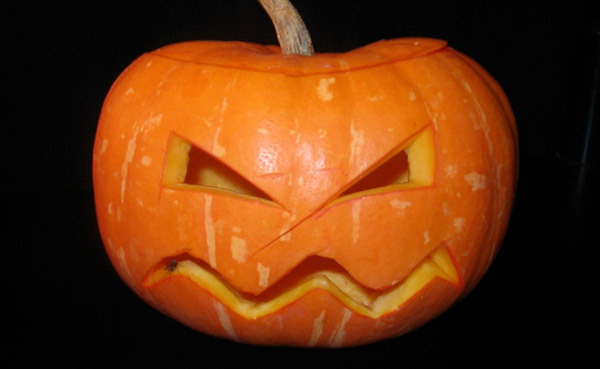 I’m with you, Pumpkin beers have never grabbed my attention….that is until I tried Williamsburg Alewerks Pumkin Ale. I swear it’s pumkin pie in a bottle. Terrific. Pumpkin beer is a tough sell. I like the Weyerbacher Imperial Pumpkin Ale but in limited amounts. Like any other seasonal thing, it’s good for a holiday. My wife also enjoys the Weyerbacher Imperial Pumpkin stuff. The folks over at Schlafly have promised to send me their pumpkin ale, so I’m looking forward to that one as well. So far I’ve loved everything I’ve had from them, so I have high hopes for their take on a pumpkin beer. We shall see. Have you had the Smuttynose Pumpkin Ale? It’s my personal favorite because it taste like pumpkin pie up front and then tastes like beer. It’s even a little bit hoppy. ST’s Pumking is all biscuit and that turns me off. I haven’t had the Smutty – sounds like my kind of pumpkin beer! I’ve tried most of the bigger brands and the stuff that’s local to the northeastern region, Smutty excepted. I’ll be honest though and say that I don’t seek them out as they aren’t really my thing.